there are few things i am really curious about Forex, sometime my curiosity makes me hesitate to lean forex, worried if it is not worth to learn it. I would like to ask you this question because i believe you can give a good advice, if you don’t mind of course, I understand if you mind to answer these question. -do people who trade for life exist? -do they have a sufficient money to support their family? -some said if we trade on h4 and daily time frame we only trade 5-10 trades per months and that’s enough, it sound like almost do nothing for the whole month. is this true? 2) Yes they have money to support their family other wise they can’t live of it.3) The time spent depends on you and who you trade to make the best use of your time. 4)Realistic per month profit is about 5/10 % with out taking mayor risk. The 4hr 5-10 trades a month depends on you way of trading. All that has been said is true, this is your own business and you mold it the way you want to run it. My take , when you learn what you need to be successful,you know the kind of money you need monthly to live on . Now you build up your account to get there with out to much risk. Now your ready to quite your job. I can not tell you how long that would take because everyone learns different and the kind of money your going to put to risk.This is not a one size fits all and there are no short cuts either. Ok raylpz88. really curious about Forex, sometime my curiosity makes me hesitate to 3 )lean forex, worried if it is not worth to learn it. I would like to ask you this question because i believe you can give a good advice, if you don’t mind of course, I understand if you mind to answer these question. GBPJPY Daily timeframe. BEOB at resistance. Will someone trade it? I trade this on demo account, what do you guys think of it? Was looking at your chart on past charts, and it looks like there was a pullback then drifted sideways then had a bull trend for about a week. When I look at a chart I look at the most recent data. I am not a psychic and don’t claim any paranormal powers. Without looking at the fundamentals, it was close on the daily. Could have made some pips on the pull back. Also since it was mostly sideways after the pullback could have went long on the trend. That’s one thing I notice about FX is the moves can happen suddenly, you have sideways movement then you have a bull trend, then a bear trend then sideways movement. It’s up, it’s down, it’s sideways. Trying to catch the moves or bar direction happen quickly, so, confirmation is a good thing! thanks to share your point of view. may i know what kind of confirmation are you talking about? what kind of signal are you waiting for? it is going up. the pinbar low was never break (it was break a bit, but I use buffer so i consider it wasn’t break) but the pinbar high was break. it is not a valid pinbar then. another trade I take, I am using price action to set entry trigger, it is not triggered yet. too bad, I lose this one, the price hit my trigger then go up and never cross my entry level, eventually hit my SL. sometime even A+ set up will fail. There were big news on NZD so it made big moves, what ever your using is not going to work when that happens. Best thing to do is wait until the news is over see whats going on before going in. I welcome any comment and discussion. 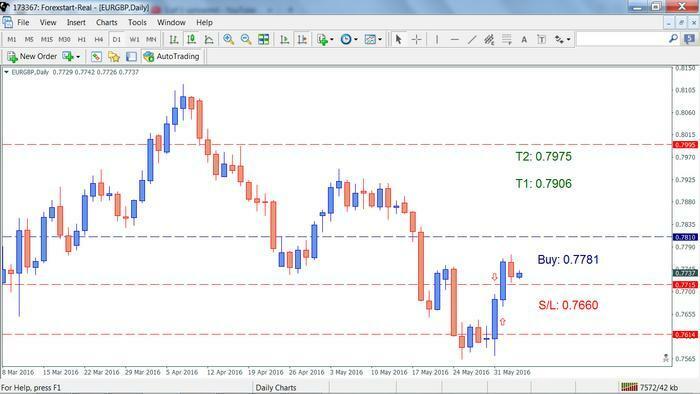 I am new here ([B]but not new at forex[/B]) but I have been following this forum for couple of weeks now… I was suggested to pay attention on this thread as it is promising strategy. Could you advise me where to start reading and learning this strategy because 2100+ sites is a LOT to read? I will be really grateful for any advise, suggestion, whatsoever. I am new here but I have been following this forum for couple of weeks now… I was suggested to pay attention on this thread as it is promising strategy. i am a newbie too, so far I had read school of pipsology and the whole first page of this thread, both of them are good sources. school of pipsology is good for basic knowledge of what is forex and how do you trade, use tools, indicator etc. this thread teach you one of trading method, price action by johnaton fox which is in the first page of this thread.